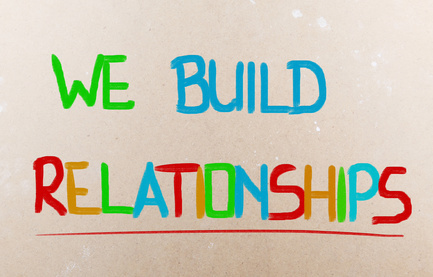 What Does Customer Relationship Management Mean to You? Customer Relationship Management or CRM means software developed to store and manage your customer, prospect, leads, business partners and business contacts information. CRM is generally tied to large companies, though software including Zoho CRM , TeamSupport, Pipedrive, Prophet and more claim to work well for smaller companies. The advent of CRM solutions means that consumers expect companies, no matter what size, to understand the relationship they want and meet those desires. Consumers expect any brand to meet their expectations although, many companies do not. Often, companies are good at capturing data like gender, age, income and maybe even matching customers with purchasing information. Companies like this may think of customers as resources to upsell or cross sell to rather than as individuals seeking meaningful interactions. B to C companies often blunder when relating to customers. They may treat those seeking a simple exchange of money for goods or services like a friend and interact with a customer wanting to be treated like a friend as a transaction. · A loyal on-line retail customer was frustrated by a policy of requiring signatures for home deliveries occurring while she worked. Managers were not flexible to her concerns and one blew it by offering her a $200 gift card. She promptly canceled a $7,000 order. · A plus-size clothing store repositioned itself to be more relevant to younger, thinner customers only to find themselves alienating established customers who felt disrespected and betrayed. · A dedicated customer of a grocery delivery startup sent in suggestions to fix operational glitches. However, the only responses he received were promotional emails urging him to order more frequently. The customer cut back his patronage believing the company did not want a relationship on his terms. One research firm identified 29 distinct types of buyer-company relationships which is more eye-opening and more valuable than demographics. For example, there is the customer that likes the basic exchange. They seek product / service dependability and don’t want to think too much about it. Another is the customer wanting recognition as a business partner. These types want to work with the company long term to solve problems. 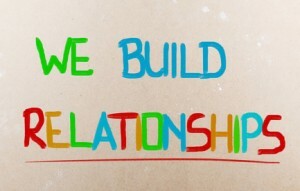 The buddy customer wants an interaction but doesn’t want to be tied into a close relationship that limits freedom. It’s up to the business owner to figure out which type matches the customer by developing “relational radar” to hone in on customer signals and then deal with them accordingly. This entry was posted in Franchise Evaluation and tagged Customer Relationship Management, Franchise Fred on December 15, 2015 by franchisefred.